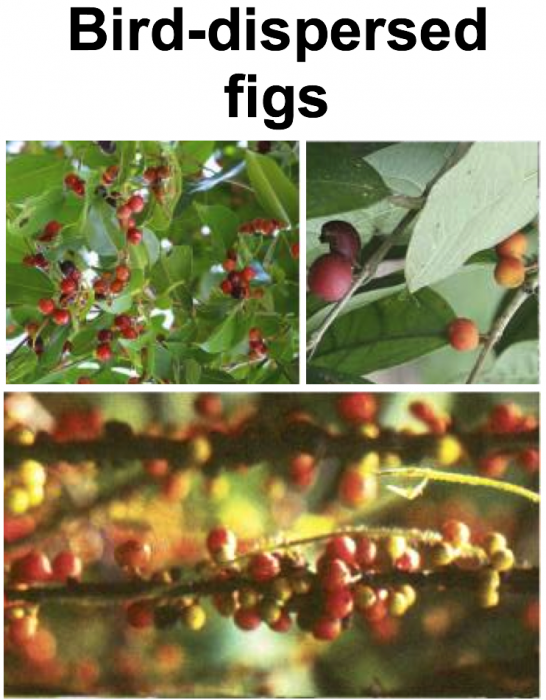 Bats, birds, and their figs. Some of the largest trees in Singapore are from the genus Ficus (fig trees). How did they become so successful? Our Arborists takes a closer look at reproduction. Long-lived as trees may be, death eventually comes for (almost) all living things. Just like us, trees have to reproduce for their species’ survival. However, unlike us, trees stay rooted to one location for all their lives. They cannot seek out new areas for resources to sustain themselves. Should young trees grow too near their parent, both parent and offspring will compete for the same resources. Seed dispersal is vital for ensuring young trees not only survive, but thrive wherever they may grow. To this end, some trees have enlisted the help of animals in aiding seed dispersal. The animals are paid for their efforts, fleshy fruits feed and sustain animal populations. Such mutualisms are important in sustaining biodiversity. Trees with fruits that appeal to animals have a better chance of survival; their fruits are selected by disperser animals and their seeds spread far and wide. Their offspring with attractive fruits will in turn pass on their attractive fruit traits to subsequent generations. Through natural selection and many generations, different but related species of trees may form with different fruits based on which animals they attract. 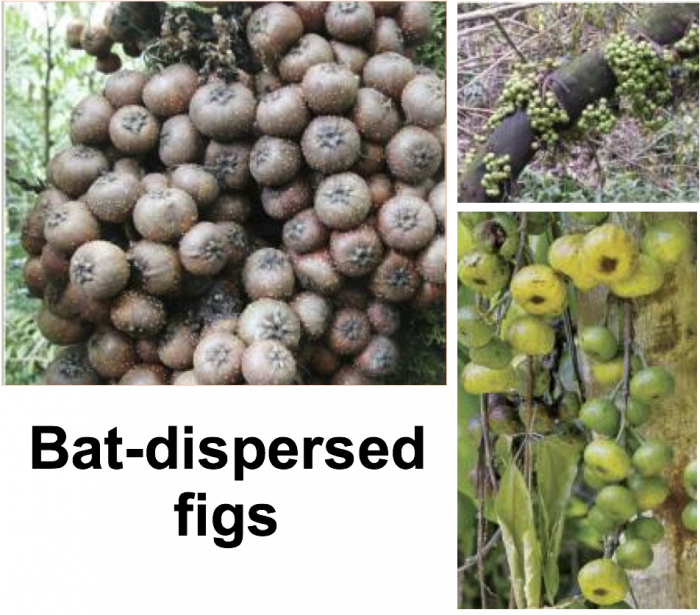 Research has compared figs that are dispersed by bats and figs that are dispersed by birds, showing how these different figs have evolved to fit dispersal by birds or bats.